Long before James D. Ratley, CFE, helped form the ACFE with Founder and Chairman Dr. Joseph T. Wells, CFE, CPA, he had worked with the Dallas Police Department as a street cop, and on the vice squad, in internal affairs, the child abuse unit and other departments. In 1985, he was part of a joint task force assembled to investigate possible widespread fraud at the Dallas/Fort Worth International Airport (DFW). 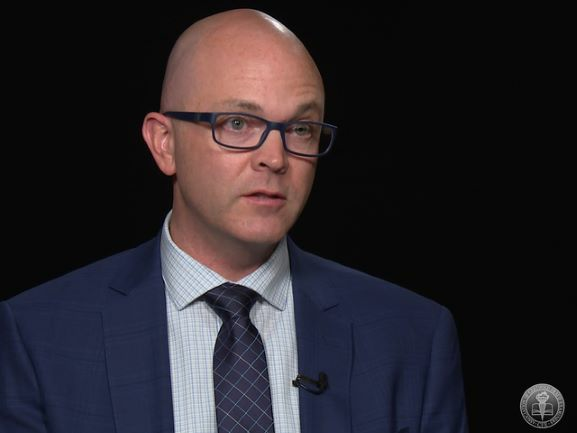 In this excerpt from his autobiography, “Policing Fraud: My Journey from Street Cop to Anti-fraud Leader,” Ratley describes some of the skills he’d later apply and teach as an ACFE leader. — ed. The vast majority of workers at DFW were honest; but for many, fraud had become a routine part of business. At Christmas time, the construction contractors gave DFW employees cowboy hats and filled their stockings with whiskey and other gifts. While that might have flown in private industry, it certainly wasn’t appropriate in the public sector. But many employees, following the tone at the top, rationalized their acceptance of these illegal gratuities. Unfortunately, those who took small bribes were more susceptible to big ones — and not necessarily cash or goods. As I got to know more people at the airport, I picked up a lot of scuttlebutt. Unless there was reasonable support for rumors and gossip, I’d file them away for future reference. But whenever I got a credible tip about an important matter, I’d make an extra effort to evaluate it. Sometimes additional information simply landed in my lap. Right after DFW’s chief engineer left for a post elsewhere, the senior vice president of the division astounded everyone when he appointed a clerk as the new chief of engineering. That led several outraged civil engineers, who now reported to her, to pay me a visit. Not only was their new boss not an engineer, they said, but she was having an affair with the SVP, who was married. I wasn’t there to root out adultery, though, and kept my eye on financial fraud. When it was the engineering department’s turn to be examined for potential fraud exposure, I spoke with its new chief, the former clerk. Together we reviewed her area, and I found nothing amiss. But she apparently feared I’d heard the rumors about her and the SVP. She blurted out that everyone thought she’d been promoted because of a personal connection, rather than merit. I just sat there and let her talk. That told me a lot, but not what she wanted. Clearly she felt the need to convince me she deserved her promotion. Like the unsophisticated criminals I’d previously dealt with, this white-collar worker revealed what she wanted to hide: that she didn’t get the job by merit. And I hadn’t asked a single question about it. If this matter had fallen within the task force’s mission, her statements would’ve spurred me to look into it. Yes, I was new to DFW and white-collar crime, but some of the interview skills I’d learned earlier would work here too. One of the more obvious cases I came across at the airport involved a secretary who’d written herself dozens of DFW checks and charged them to her department’s various high-activity expense accounts. What tripped her up wasn’t the crime; DFW’s internal controls and audits were so feeble that no one noticed the embezzlement. But when she cruised into the DFW parking lot in a new Mercedes convertible, other employees wondered how a person making $20,000 could afford such a car. One of them reported it to the task force. I jumped on that lead and visited the local Mercedes dealer, who fondly remembered the $80,000 cash sale and told me, with some regret, what I needed to know. The next day, I quietly confronted the secretary in a surprise interview and took down her tearful confession. “I’m not the only one stealing,” she told me. “I work hard and needed a treat. Besides, no one missed that money.” It was true; if she’d been more discreet, her fraud might have remained undetected. But when her first embezzlements weren’t noticed, she couldn’t resist stealing more, and even had to show off. 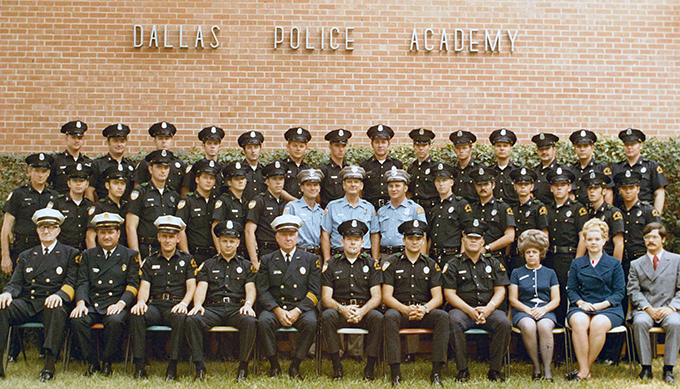 Above: Dallas Police Department, Recruit Class 115, 1971. As the task force’s efforts led to more arrests, an increasing number of honest employees were encouraged and contacted us with tips. Soon we had so many it was hard to keep up with them. And, although I still had plenty to learn about investigating fraud, my initial successes had swelled my head. One morning, a woman in DFW’s vehicle maintenance division called me with a tip. According to her, the shop manager had been stealing company property — hydraulic jacks and other equipment used to service the airport’s trucks and buses. “I’ve seen him load the stuff in his pickup and drive off,” she said. I took down the information, said I’d get right on it, and put a sticky note on the wall to remind me. After hanging up, I recognized the name and remembered I’d met the guy once. I almost dropped the phone. It was like she’d slapped my face with a cold fish. “You’re right,” I admitted. “I’ll come over today.” I was furious with myself and embarrassed as hell. But I wasn’t going to take it out on the suspect, and went to see him with an open mind. I brought another investigator with me, and we walked out on the shop floor. The manager was yelling at one of his staff, but stopped and put on a big smile when he saw us. “You know what somebody told me?” I said. I put the form in front of him. “Sure thing,” he said, and signed right away. “Oh, yeah,” he said weakly. I started thinking sandwich at my desk. “I’m fine,” he insisted, looking awful. When we pulled up in front of his house, I saw a hydraulic jack in the driveway, rusted from being out in the rain. That wouldn’t have happened at the airport. I got him to open his garage, and saw why the jack was outside — there was no room inside. My partner and I estimated that the manager had roughly a quarter-million dollars’ worth of stolen DFW property in there. I arrested him on the spot, and brought him downtown for processing. Afterward, I called the informant and thanked her for the tip. She suggested I speak to other people in the vehicle maintenance division. This time I followed up immediately, and over the next few days was told by more than one employee that both the manager and the assistant manager were taking everything not nailed down. According to people who worked with them, the two fought constantly over who got to steal what. On one occasion they’d allegedly exchanged blows in the parking lot after the assistant manager stole something the boss wanted, and wouldn’t bring it back. I was able to confirm these reports, and arrested the assistant manager as well. I also found that most of the mechanics there owned cars that were the same make and model as those in DFW’s fleet. That enabled them to pilfer company parts and supplies for their own cars, which they serviced at the airport during work hours. The manager outdid them all; he had the mechanics refurbish two of his trucks. You couldn’t make this stuff up. Things really had gotten that bad at DFW. I just didn’t realize that so far I’d only been scratching the surface. After breaking up the larceny ring in the vehicle maintenance division, I focused on finding out how they’d been able to get away with it for so long. I figured that might help explain why fraud flourished at DFW. Since the division had been audited just before I intervened, I got a copy of the report so I could check its findings. As I feared, the internal auditor had found nothing wrong. Well, I told myself, auditors aren’t trained to detect theft. I kept on reading, though, and saw that the auditors had checked whether reported expenses corresponded with items purchased. Everything, they said, matched up. The report went into a lot of detail, too — right down to how much had been spent on replacement parts for specific vehicles. At first, it seemed thorough, but the more I read, the worse it looked. For example, the division had purchased one hundred sets of tires for a single van used to transport passengers from the airline terminals to the car rental offices. The auditors confirmed that DFW had actually received the tires it paid for. And a DFW car needed 258 carburetors in the same time period. Again, the auditors confirmed the carburetors paid for were actually received. Sure, the numbers added up, but there wasn’t a shred of sense in them. At that point, there was no telling whether the auditors were knaves or fools. But I was going to personally put the divisional vice president on notice of the sorry state of affairs. I expected that would light a fire under him. Even a few proactive steps would’ve helped stem the tide of taxpayer dollars flying out the window. I called his office, and left a brief message saying why I’d be coming over the following morning. The next day, when I walked in, he looked worried. “You know,” he said, “I think you're overstating the problem.” I couldn't believe my ears. I couldn’t believe my ears. The thefts and overbillings in his division added up to half a million dollars. “Likewise,” I said, and took back the audit report before leaving. This meeting showed me it was folly to expect impartiality from someone with skin in the game. The vice president didn’t want to be part of the solution because that would involve admitting he was part of the problem. And he was just the tip of the iceberg. I’d now seen unethical behavior at every level of the airport’s workforce — the C-suite, senior and middle management, and the rank and file. 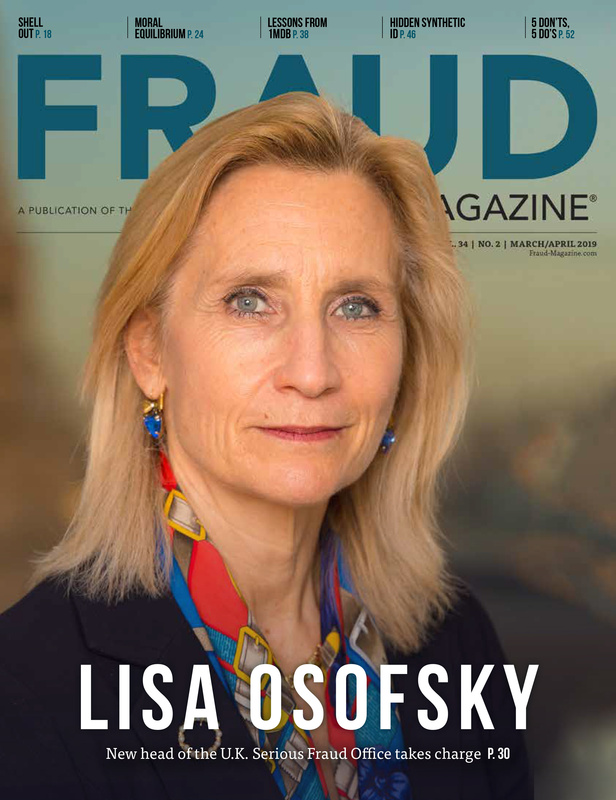 What worried me most about DFW’s fraud epidemic was not just its extent, but how different most of it was from everything I’d worked on before being assigned to the task force. Unless I adjusted quickly, I wouldn’t be a strong enough part of the solution either. Although I hadn’t been able to light a fire under that weasel of a vice president, his irresponsible passivity set me off like a rocket. I was determined to maintain the momentum of my latest fraud busts. As soon as I got back to my desk that morning, I pulled the file on every pending case and lead I had. No longer taking anything for granted — not even management’s support — I resolved to let nothing even remotely suspicious escape my scrutiny. With an eye even more skeptical than before, I reexamined each report and red flag, and found several situations worth double-checking. Soon, without realizing it, I’d worked through the rest of the day without breaking for lunch. Tired and hungry, I felt a wave of doubt flooding into my mind … but not about the cases and leads; they definitely were worth looking into. No, my concern was the resistance or apathy I might encounter when I started asking other senior managers and executives about potential red flags in their units and divisions — perhaps in their very own activities. It wasn’t that I hadn’t faced difficult opponents before. Hell, more people than I could count had done their best to maim or kill me, and I’d put them behind bars. But tracking down and busting white-collar criminals was altogether different. For one thing, many of the frauds at DFW involved millions of dollars. Investigating cases of that magnitude was a big responsibility, and at first the pressure nearly overwhelmed me. Before I was assigned to the task force, most of my cases were relatively straightforward. In contrast, many white-collar crimes are hard to detect. If the DFW secretary who’d embezzled her way into a Mercedes had instead bought a car like my Ford, her scheme just might have escaped notice. And while some frauds like hers leave a clear paper trail that will easily convince a judge and jury, others are so mind-numbingly complex they seem like an investigator’s pipe dream. In several of my DFW cases, all I had to go on was an allegation of fraud and boxes full of documents about complex financial transactions. Many of the suspects were high-powered executives with an MBA or degree in finance. Some were generous supporters of Dallas and Fort Worth political leaders, and all looked like model citizens. I and the other members of the task force each made $30,000 a year. Going nose-to-nose with well-connected suspects earning several times that and perhaps stealing even more wasn’t easy. So we dug our heels in and didn’t relent until we got conclusive answers to our questions. Fortunately, press coverage of the investigation helped prevent a cover-up that would have sacrificed a few low-level DFW employees, declared victory over fraud, and quietly disbanded the task force. But even with that support, my colleagues and I still had a lot to learn. During investigations before DFW, I'd learned that a suspect's answers are seldom completely false. The challenge for the interviewer is to distinguish the lies from the truth. One of the greatest adjustments I had to make related to the very documents I now found myself buried in. It wasn’t just that there were a lot of them and that they were complicated. The new wrinkle was that the documents in question were created by other people. In my past investigations, I put together most, if not all, of the documentary evidence myself, which typically consisted of transcripts of suspect and witness interviews I’d personally conducted. I knew my documentation was reliable. It might not contain all the answers I needed, but it never asserted anything I hadn’t personally verified. And when I couldn’t confirm something, my report identified it as an open question. At DFW, though, someone else had prepared the financial statements, purchase orders, accounting records, and other documents I reviewed in my search for evidence. And because some of those records were riddled with falsehoods, inaccuracies, and omissions of key information, I had to broaden the scope of my professional skepticism. Everyone and everything was potentially deceptive. A prime example: the auditors’ nonsensical, see-no-evil report on the corrupt vehicle maintenance division. Like it or not, though, the answers to my questions were often in those potentially unreliable documents. So I did the only thing I could do — wade deep into their details, much of which I didn’t understand. In some cases, I scoured a hundred or more complex documents, going over them backward and forward until I’d virtually memorized them. I couldn’t take the chance of missing key items that would tell me what I needed to know. Of course, I had to be alert for answers designed to hide the truth, not reveal it. But even when I was close to positive that someone was guilty, I didn’t let it show until I had a strong case. During investigations before DFW, I’d learned that a suspect’s answers are seldom completely false. The challenge for the interviewer is to distinguish the lies from the truth. If you succeed, you learn what the suspect doesn’t want you to know — and might not realize he’s revealed to you. And that helps you expose his falsehoods, making further denial futile and confession nearly inevitable. This approach worked well for me in Child Abuse and Internal Affairs, and case by case, I was adapting it to my fraud cases at DFW. Along the way, it became clear to me that an accounting degree isn’t the most useful thing to have when investigating white-collar crime. Yes, I had to interpret and evaluate my share of financial statements. But if I had arrived at DFW with just my accounting sheepskin, I’d have been at a serious disadvantage. Instead, my prior interviewing experience enabled me to solve some cases quickly while adjusting my technique to the white-collar environment. The bottom line was — and still is — that you don’t need accounting expertise to be an effective fraud examiner. Unless you’re a good interviewer, though, you’ll have a hard time investigating fraud. Unfortunately, few people have innate interviewing skills; like me, most have to develop them. As always I was dead serious about my work and wanted to learn more. 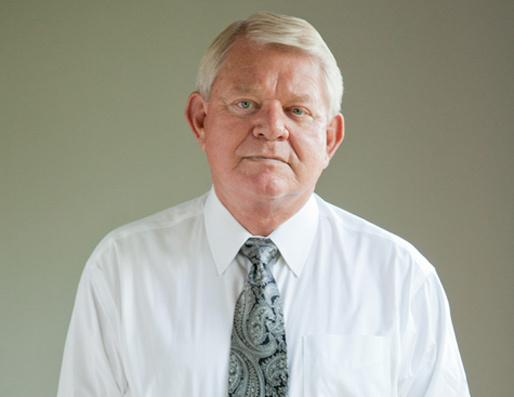 James D. Ratley, CFE, is President of the Association of Certified Fraud Examiners. He can be reached at: jratley@ACFE.com. Excerpted from “Policing Fraud: My Journey from Street Cop to Anti-fraud Leader,” by James D. Ratley, CFE, © 2017 by The Obsidian Publishing Company Inc. All rights reserved. Rookies know they have a lot to learn, but they don’t realize how much. Even experienced cops are often surprised by unusual events and situations. No one knows, for example, what to expect when dispatch sends out a signal 58, “Meet the complainant.” So when one of those came over the radio for my beat, I knew it could be about any of a thousand different things unless I recognized the address as that of a repeat offender or victim. A signal 58 came in one afternoon when I was, for a brief period, working the day watch. With me was a rookie named John White, making his way through his first day on the job. This caller turned out to be a lady in her eighties. I grabbed one end of the sofa and nodded to the rookie. By now, his confusion had become full-blown disbelief. Five minutes later we were done and stood back to consider the new arrangement. When I asked which one was her favorite place to sit, she said the sofa. After getting her agreement that its view out the window was too narrow, we re-arranged things a little bit more. “Well, I hope you boys can spare another few minutes. I know you’re busy, but I’ve got a treat for you.” She called us back in the kitchen, where she’d laid out beautiful china and cloth napkins and had coffee brewing. So we sat down for ten minutes and enjoyed her coffee and cranberry pastries she’d made. “This is so nice of you,” I said. “I just appreciate your helping me,” she replied. The rookie nodded reflectively, taking it all in. Another time, in the evening, I was riding alone when dispatch sent me a signal 58. A woman had called for help getting her husband, a stroke victim, out of the bathtub. She was trying to keep him at home instead of in a nursing home, where he probably should have been. Like many older couples, their children were grown and had moved away. In the past, with her help, he’d been able to make it out of the tub. But now he’d become too weak and uncoordinated, so in desperation she called the police. She was at the door when I arrived; I followed her inside. Seeing her husband naked and helpless was slightly embarrassing for me and intensely humiliating for him. Together we pulled him out quickly. She dried him off and we carefully guided him into bed. “I’m so sorry to have bothered you,” she said. “Ma’am,” I told her, “that’s what we’re here for — to help you any way possible. Don’t ever hesitate to call.” I tipped my hat and left, knowing I’d carry that scene to my grave. Dallas police officers provided a lot of unusual but important services like that. We considered it an honor and a crucial part of our job.